Welcome to my website. I’ve been making brushes for 35 years and supplying artists by mail order. I’m fortunate that my trade has allowed me to travel the world both sourcing materials and learning different styles of manufacturing. It’s from these resources that I find my own methods of making brushes and trained my team ‘my way’. In dealing with artists directly, I’m able to offer exactly what you want, in terms of quality, price and delivery. I’m proud to be a small family business, who can extend an ‘old fashioned’ approach to conducting my business. I believe this to be a major strength and although the 21st century offers valuable technology, I feel it is important to remember the courtesies in life, day to day, between each other. With this in mind, if you don’t see what you’re looking for or need any help/advice with your selection, just ask! Myself and my team look forward to being of service and trust my brushes will enable you to express your artistic talent. We have a free mail order catalogue which we are able to ship worldwide and in there all of the brushes are photographed actual size. If you’d like our mail order catalogue click here and we will send you one with pleasure. I endeavour to offer a high quality product at a competitive price and if you compare my brushes ‘like for like’ in the high streets shops, we can often be 50-60% cheaper. Our shopping cart is secure and all your personal data is confidential, we do not pass any information onto any third party, under any circumstances. We have an active presence on social media and would invite to look at our Facebook page, Instagram account and Twitter account. You can also find us on Youtube now! 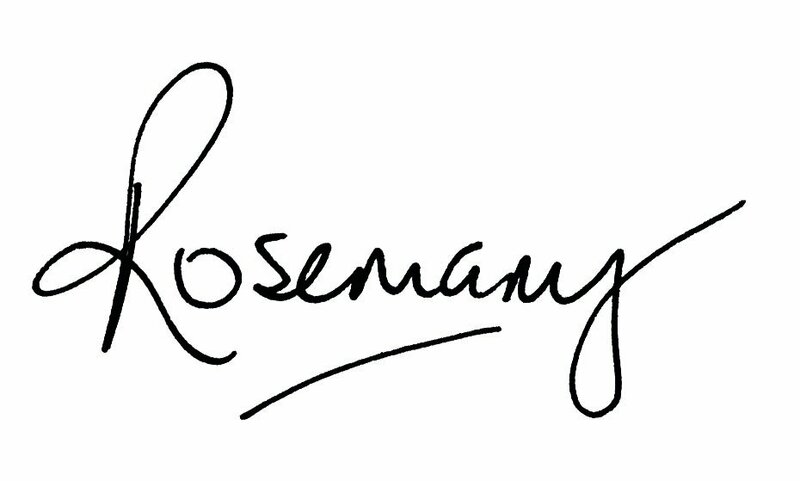 You can use the hashtags #rosemaryandco and/or #rosemarybrushes for us to see your work. 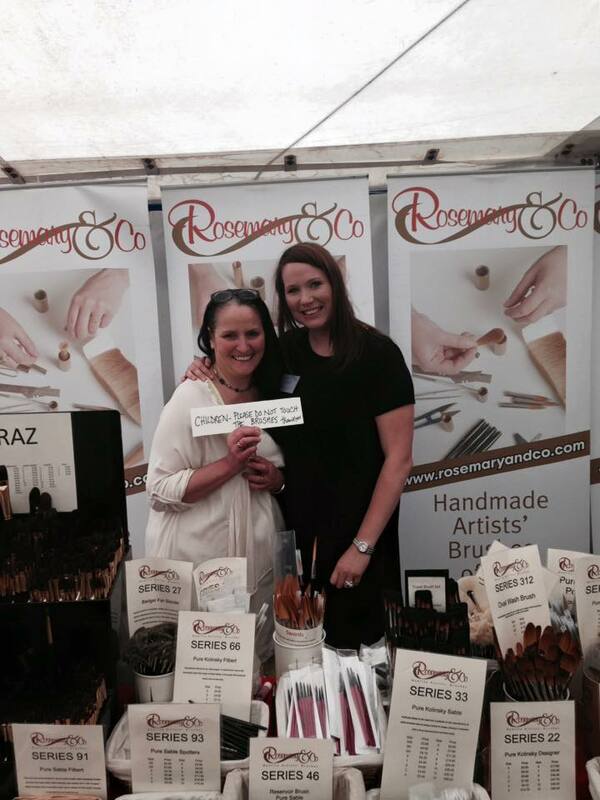 We also love seeing your brushes when they’ve arrived and in use! Please follow us to see what we are up to and where we are. You can also see this by visiting our blog and seeing our upcoming events. My daughter Symi joined the family business 3 years ago after gaining a Law Degree and enjoys her role here as Sales and Marketing Director. She is particularly active on the road and the USA and many of you will have already met her when we travel. I’m proud of the energy she has brought to the company and the many new ideas she eagerly puts forward. In July 2017, we will opening our showroom within our workshop. This will be open to the general public for you all to see the brushes in person and buy from our shop. You will also be welcome to paint within our grounds which are located in the picturesque Yorkshire countryside. Please call us in advance if you wish to visit as the showroom will be appointment only. For opening times please subscribe to our newsletter as we will send out an email when we open the showroom to visitors. We are not able to accept visitors before July 2017. I believe my passion for art reflects in the quality of product and service I offer. I have loved and lived art for all my adult life and so art is my way of life. On a final note, many of my customers have endorsed and used my brushes for the entirety of my career and have indeed become friends (some distant and as far away as the USA, Australia, Canada, Japan & New Zeland). For their patronage and support I would like to take this opportunity and say ‘thank you’.